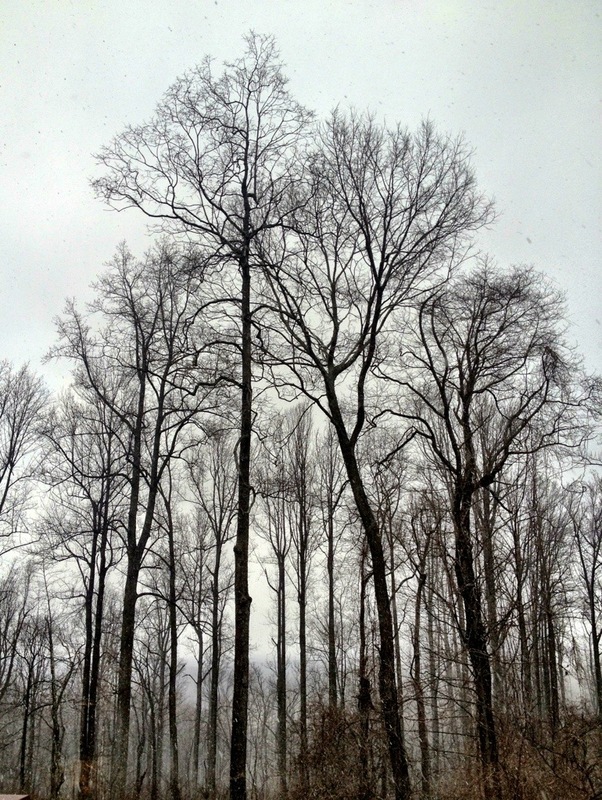 We had a flashback to winter today with snow showers cold rain and gray skies. The Phoebes woke me up, and as I watched them fly around the backyard searching for food I hoped they were having success. With more snow in the forecast tomorrow, it could be tough finding insects. I have a colony of meal worms that I maintain for Quillen, our hedgehog. I wish we lived nearby to give you a jar full for your birds. Your picture indeed looks bleak for birds staying warm and finding food. I never would have thought of meal worms. Great idea. I saw the phoebes this morning on the deck and they look fat and happy so all must be well in their world even in the cold weather. Let’s hope the birds are resourceful, or patient. I would never have thought of a jar of meal worms–too bad you cannot just run to a local 7-11 store to get some. I think the phoebes are eating worms. I saw them out in the grass a few days ago pecking. That was a first as mostly I see them perched in trees or in the deck railing.